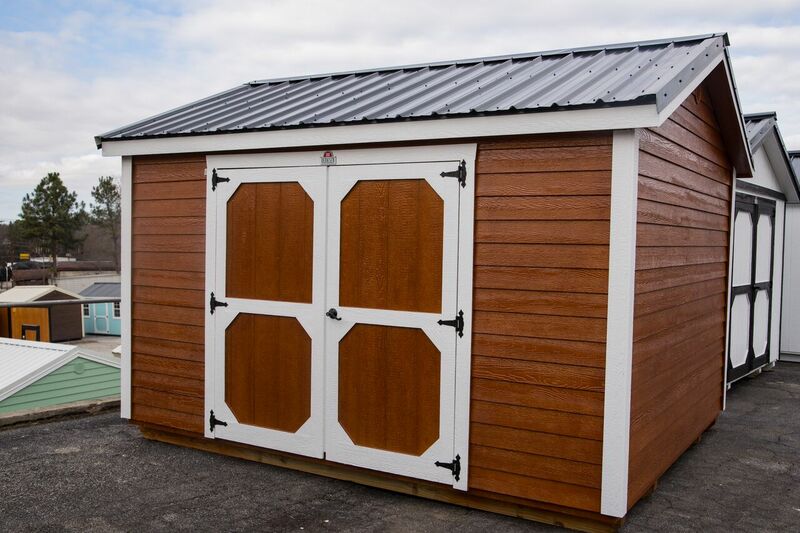 Our Garden shed model comes standard with a single door or double door depending on the size. 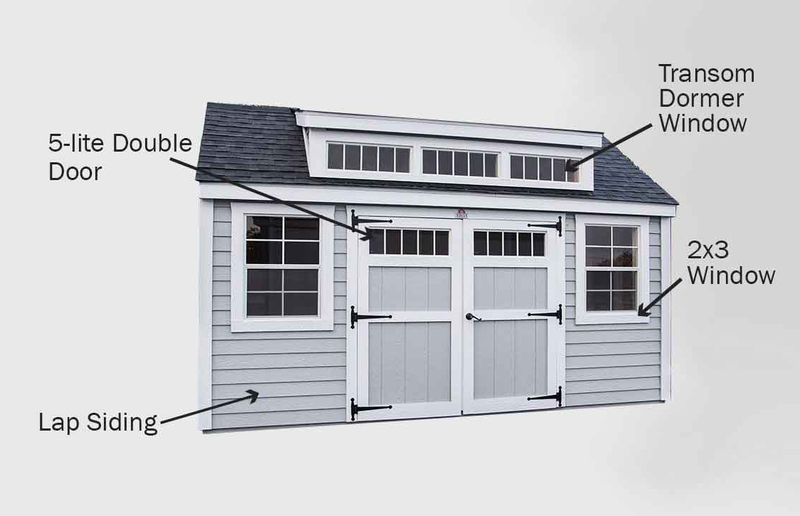 This model offers more head room, perfect for adding shelves or hanging items from the ceiling. 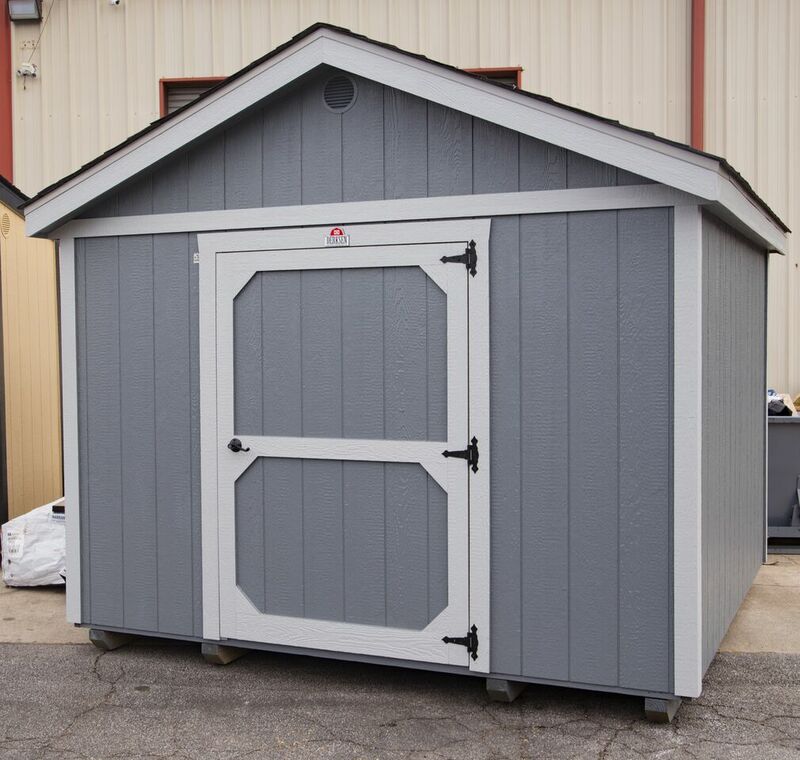 Available in 7×10 up to 10×16. 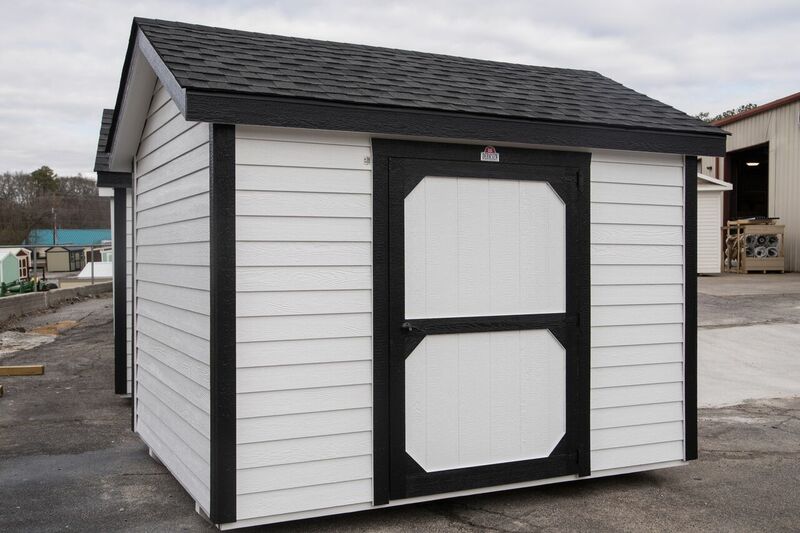 Ask us about the transom dormer window option! 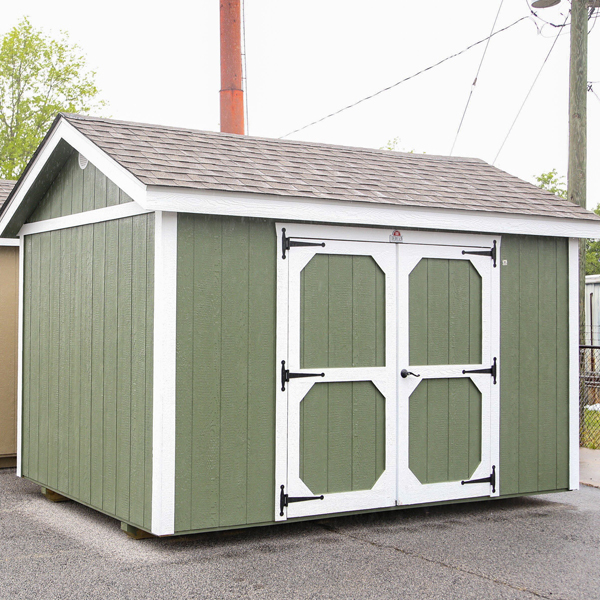 Prices include your choice of a 36″ or 48″ shop door on 8' sizes and smaller. 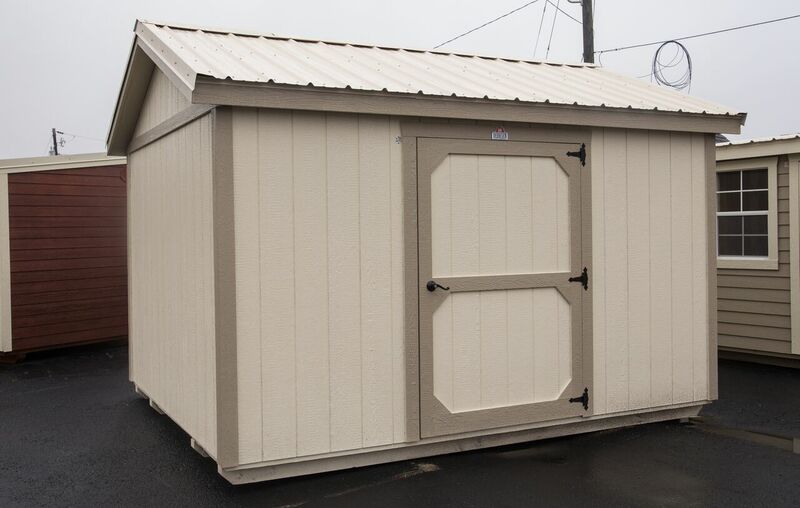 Prices include a 72″ double door on 10' sizes and larger. 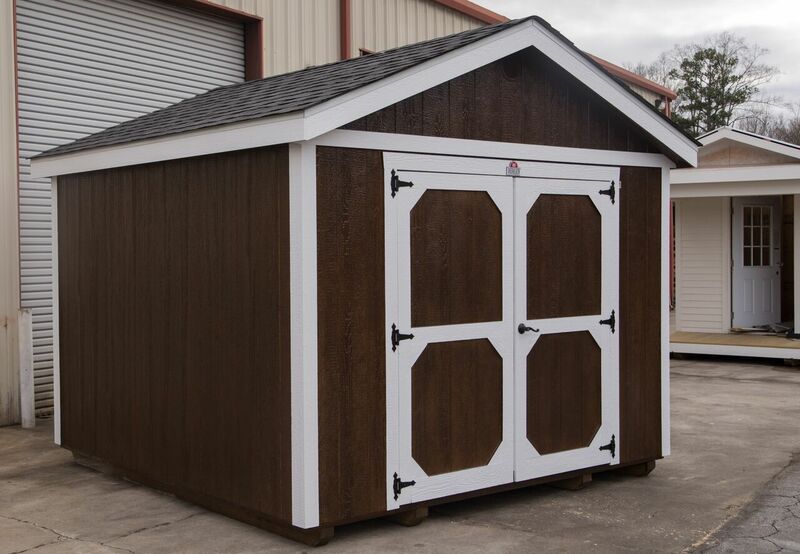 Our Garden Sheds can be fully customized to meet your needs! Ask your local dealer for more information.